Phyzzpod was installed at Rushy Meadow Primary School based in Carshalton -a two form entry Primary School with a nursery and a hearing impaired opportunity base. KidsOut have received fantastic comments from the children and staff members of Rushy Meadow, using the Phyzzpod system in a number of ways – ranging from story time to offering support for hearing impaired children with speech and language. It seems that their favourite use for Phyzzpod is the ‘magic cube’, offering children a ‘safe space’ to calm down, pin down any problems and solve this with an appropriate solution. At Rushy Meadow, the staff members use the ‘Red Brain, Blue Brain’ system, in order to understand the children’s emotions. The Red Brain is often associated with uncomfortable feelings such as anger and sadness – these emotions are normally expressed in an inappropriate manner. Through learning a variety of ‘calming down’ skills, the children can then help themselves to return to the Blue Brain state – which involves happy and relaxed feelings. 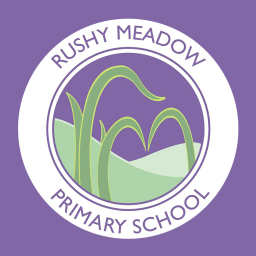 Phyzzpod has definitely had a superb and positive impact on Rushy Meadow Primary School. KidsOut are pleased to hear this!